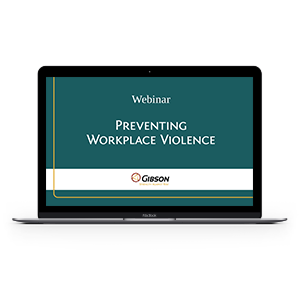 Sheri Butler, Select HR Manager at Gibson, discusses workplace harassment - the risks it poses and strategies for prevention. Melissa Langley, Client Executive at Gibson, discusses the legalization of marijuana use and how to manage the risks it may bring to your workplace. Mark Purcell, Risk Advisor at Gibson, discusses Business Income vs. Business Continuity and the importance of funding your business continuity plan. Watch this video to learn that while most companies carry some form of business interruption insurance, many have not integrated this funding option into a business continuity plan. Development & integration is critical for your employees, clients, and long-term survival. Jordan Friesen, Client Executive in the Employee Benefits Practice at Gibson, discusses Employee Assistance Programs, also known as EAPs, and why it is necessary to offer your employees easy access to mental health services, online wellbeing resources, and financial education services. Watch this video to understand that your employees often have personal matters that keep them from focusing on their work. It impacts their physical health and overall wellbeing. Things like divorce, financial stress, anxiety, and depression aren’t simply left at the door. These have cascading effects on your workplace culture and bottom line. Art Jacobs, Principal and Risk Advisor at Gibson, discusses fire suppression systems. Fire suppression systems are universally accepted as the best initial line of defense against fire. The key is to make sure that your system is properly designed and maintained to help you protect what matters most. Watch this video to learn more about the importance of taking the proper steps to make sure that your fire suppression system is right for your facility and working correctly. Ashley Walsh, Benefits Consultant at Gibson, discusses Health Savings Accounts, also known as HSAs, specifically the benefits of health savings accounts. Watch this video to learn more about why educating employees on the benefits of health savings accounts and encouraging employee participation, employers can help increase the financial well-being of their employees, creating a positive employee experience. Brandon Nettrouer, Risk Advisor at Gibson, discusses the myth of multiple brokers and how many businesses believe involving multiple brokers will get them the most competitive renewal. But it can actually have the opposite effect. Watch this video to learn more about the optimal approach in choosing a single broker, with a proven process and many resources, who will create the perfect carrier submission. Both contractors and manufacturers are often required to provide security in the form of surety bonds. Watch this video to learn more about the process involved in getting qualified to get a bond. To achieve this, see what questions and conversations you should be having with a surety professional. In the past, companies interested in maximizing cash flow and controlling dollars through deductibles and self-insured retentions had to use a “gut check” approach. 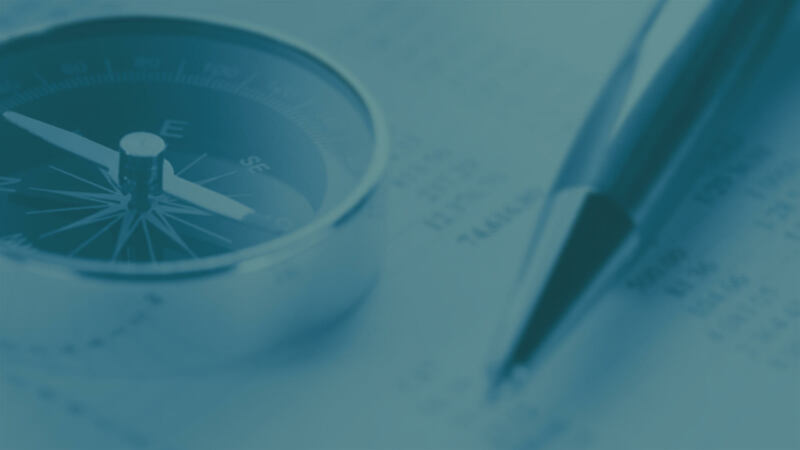 Watch this video to learn more about using an analytical approach to deductible selection and projecting losses creates cash flow benefits and avoids surprises. To achieve this, see what questions and conversations you should be having with your employees. Brian Bellware, Employee Benefits Consultant at Gibson, discusses defining a compelling employee benefits strategy - creating a clear ‘what are we doing, and why are we doing it’ is crucial. Watch this video to learn more about the importance in investing the time up front to develop a compelling strategy. To achieve this, see what questions and conversations you should be having with your employees. 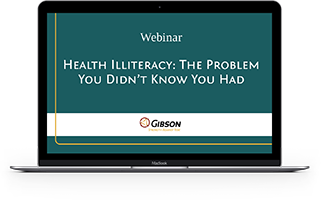 This webinar will walks you through the importance of employees becoming better health care consumers and improve their health literacy. Brad Serf, Principal and Risk Advisor at Gibson, discusses professional liability - Many contractors face professional liability risk – particularly as the line between contractors and design firms blurs. Watch this video to learn more about adding professional liability to your current risk management program.. To achieve this, see what questions and conversations you should be having with your employees. Patrick Harpenau discusses workplace wellbeing - how whole person health and overall wellbeing are critical to employee health and engagement. Watch this video to learn more about how whole person health and overall wellbeing are critical to employee health and engagement. To achieve this, see what questions and conversations you should be having with your employees. Mike Ripley discusses the importance of managing the employee experience and the risk of a disengaged workforce. Chris Niezer, Risk Advisor at Gibson, discusses the risks associated with using a traditional quoting process for commercial insurance. As a former underwriter, Chris shares his insight about why a structured risk management process can better help your organization protect what matters most. Bob Zavacky, Principal & Employee Benefits Consultant at Gibson, discusses employee benefits technology - the risks of not using one or of utilizing an ineffective system. 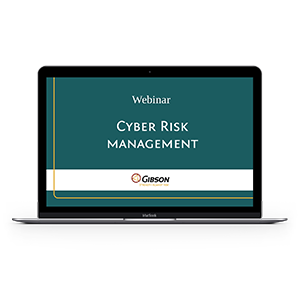 This webinar will describe the common cyber risks organizations face, cover basic strategies to protect against these risks, and explain how insurance can get organizations afflicted with a data breach up and running again. Mobile devices and social media bring both benefits and risks to the employer-employee relationship. This webinar helps address these issues. 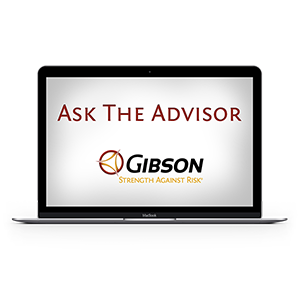 Brian Kubicki, Risk Advisor & General Counsel at Gibson, discusses how to manage the risks associated with vendors by utilizing contracts with risk transfer provisions. Wes Mantooth, Principal & Employee Benefits Consultant at Gibson, discusses the complexity of health care and employee benefits compliance. One of the most challenging issues facing employers is how to work with employees who are unable to work, or limited in their ability to work, because of medical conditions. This webinar helps address this issue. Ray Korson, Client Executive at Gibson, discusses health insurance funding options and how taking on the wrong amount of risk for your organization can lead to financial inefficiency. Workplace harassment and discrimination are important, and often confusing, topics that cause noise for HR professionals. 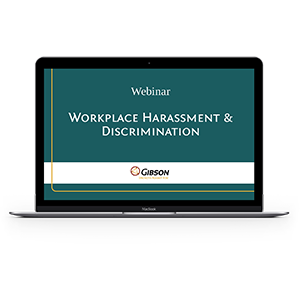 In this webinar we discuss the fundamentals of these topics and provide you with the tools to prevent and correct unlawful harassment and discrimination. The impact of workplace violence can be devastating. It’s a serious threat to an organization’s safety, security, business continuity, employee productivity, brand, and reputation. What can you do to prevent incidents in your workplace? And how can you be prepared to respond should tragedy strike? Jordan Scheiber, Principal and Risk Advisor at Gibson, discusses the risks contractors face with each subcontractor they bring onto the job and how to use risk transfer strategies in your subcontractor agreements. Miguel Salazar, Principal and Consultant at Gibson, discusses the risk of employees consuming health care with little understanding of the costs and how your organization can help manage this risk. Mark Wobbe, Principal and Risk Advisor at Gibson, discusses the risks business leaders face and how to develop a risk management strategy to protect against these exposures. David Walters, Principal and Risk Advisor at Gibson, discusses the risks associated with workplace hazards and how creating a safety culture can help you manage those risks. Ryan Colvin, Principal and Consultant at Gibson, discusses employee benefits communications - the risks associated with your workforce not understanding their benefit plan and how to create an effective employee benefits communication strategy. Chad Hahn, Principal and Consultant at Gibson, discusses the risk associated with the increasing costs of prescriptions, specifically specialty drugs, and how your organization can manage this risk. Overwhelmed by the task of analyzing how workers' compensations claims are impacting your company? Learn the impact of timely claims reporting, the benefits of a strong return-to-work program and how the experience mod is calculated and how to control it in our on-demand webinar, Workers' Compensation 101.